Consumers around the world are beginning to take notice, too, as US, German and Chinese markets have enthusiastically responded in kind. With US prices ranging in the $10 to $20 range, it’s easy to see why savvy consumers are finding Primitivo di Manduria’s combination of quality and value a compelling proposition. Primitivo is to the south of Italy as pasta is to Italy. “For the south, it’s something easily recognizable and its our core business because we believe a lot in Primitivo. It’s something for everybody, because Primitivo has everything you are looking for in a wine: full-bodied, fruity, and complex.” says Giuseppe Gabrielli, Export Manager for Masca del Tacco, whose portfolio of Primitivo wines were a highlight of our tastings. 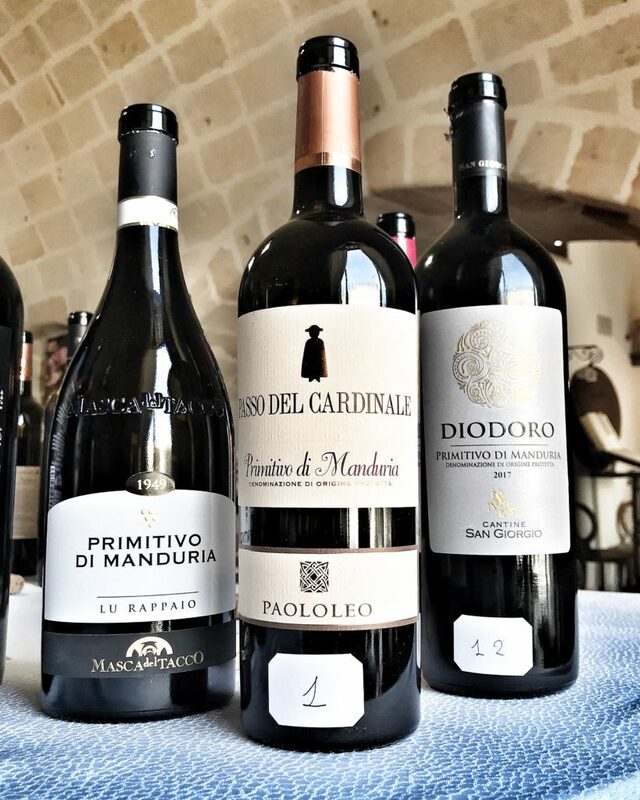 Primitivo di Manduria is just one DOC, or Denominazione di Origine Controllata, within Italy’s Puglia region. 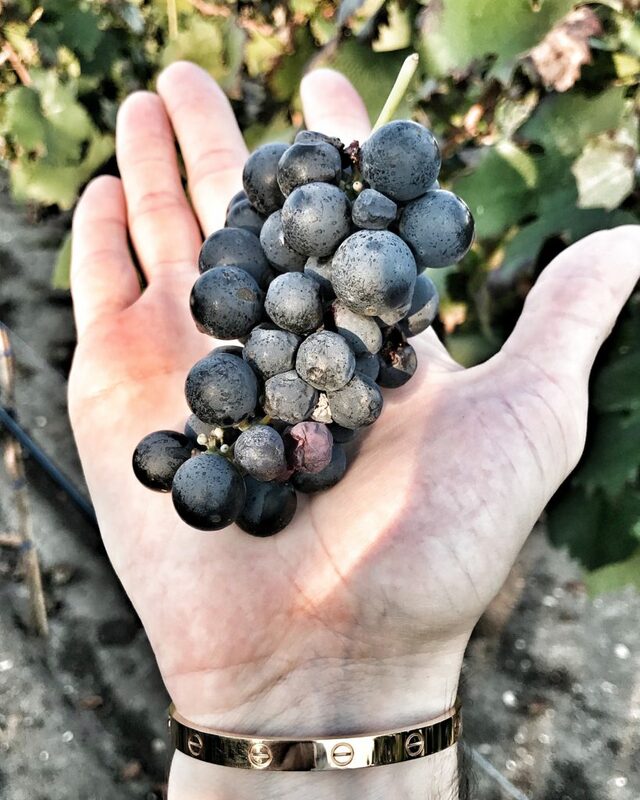 It is one of the only Italian DOC to specialize in the production of Primitivo, and is one of the most important and better known DOC’s in southern Italy. The most prized vineyards are located nearest to the ocean. Primitivo is nearly identical to Zinfandel genetically, and both trace their origins to Croatia. 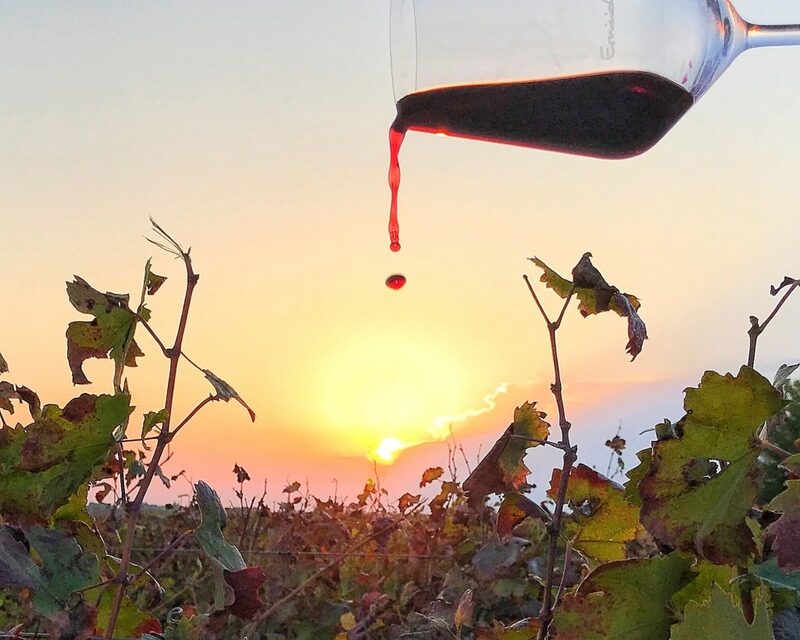 In addition to the dry reds that the region is known for, those labeled dolce naturale refers to naturally sweet dessert wines which are prized and highly sought-after by locals. The Primitivo di Manduria DOC was established in 1974, which today includes 46 producers specializing in Primitivo. 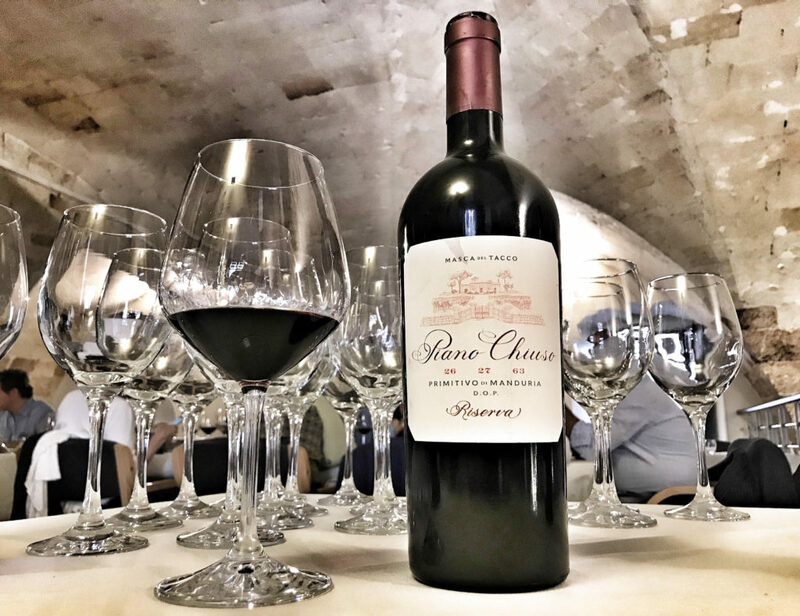 Only 8% of wines produced are classified Riserva, which typically see at least one additional year of bottle age before release. “Zinfandel is the American name of Primitivo”, describes Giuseppe. It’’s 99.2% similar genetically, and most consider it to be the same grape, which was found to have originated in Croatia. Primitivo wines are similar to California Zinfandel in that they’re usually bold and full-bodied, but differ in that they possess less jammy ripe fruit and more of a savory rusticity which makes lends a refreshingly distinctly old-world flare. Generous spice and floral licorice aromatics typically rounds out the varieties high acid, high tannin profile. The best examples of Primitivo du Manduria possess a mineral-inflected, wild underbrush quality that’s lifted by delicate floral aromatics. They boast an intriguing juxtaposition of elegance and power, with no shortage of red fruit flavors enveloped by licorice and clove spice. Some of the bolder, riper expressions exude more jammy, baked fruit flavors underscored by rich chocolatey undertones. Considering their body and relatively high alcohol, the best examples still managed to exhibit wonderfully fine freshness and balance. Arguably the most compelling Riserva Primitivo di Manduria I tasted was the Masca del Tacco Piano Chuse. Produced in minuscule quantities, it’s crafted from top vineyard sites throughout Manduria, covertly identified by the 3 sets of numbers appearing on the label. It possesses a refinement and elegance that belies its depth and concentration, with a spicy core of plum and black raspberry fruit that’s rich but never jammy, underscored by fine dusty tannins and toasty cedar. The satiny texture, purity of fruit and overall balance of this powerful wine really impress, and you would never know the Piano Chuse clocked in at 16% alcohol. The Italians don’t requite a special occasion to enjoy a bottle of wine with dinner, its simply part of everyday life. Perhaps we should follow their lead, or consider the fact that we can find such a hearty, satisfying red wine at an affordable price its own occasion worthy of celebrating. Great article. I love when you include the history of an area or wine. I love Zinfandels but have never even heard of Primitive. It will be fun to try something new. Thanks for your kind words, Karen! 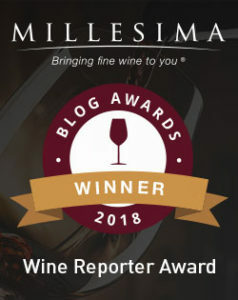 Much appreciated and glad I could shed some light on Primitivo di Manduria. Thanks, Lori! Hope you get to visit Puglia soon. I’m a big fan of Primitivo (and Zinfandel, for that matter) but I think I’ve somehow been completely ignorant of the “di Manduria” designation, though I know I’ve had wines from Puglia. Thanks for the education, and we will have to consider spending some time in Puglia on our next Italy trip. Thanks very much for taking the time to read, and for your feedback. I’m glad I was able to help make that connection, and hope you’re able to make it to Puglia. I recommend visiting during the summer months, as this seems to be when the region really comes to life (though it also gets very busy from what we hear, so plan accordingly). Cheers!